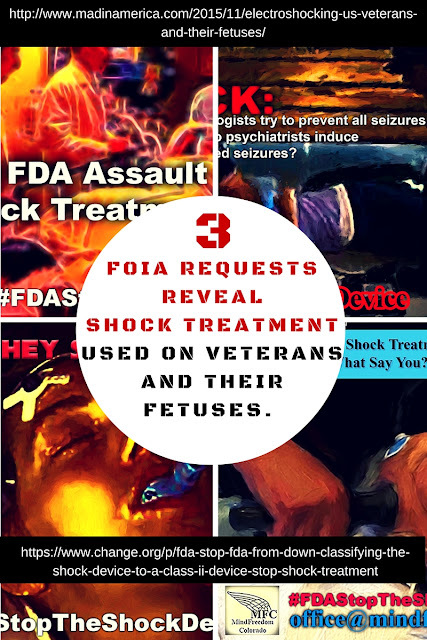 3 Freedom of Information Act (FOIA) Requests reveal that veterans have been subjected to shock treatment in the VHA system. Most disturbing, the draft data released shows that only 2 or more shock treatments were counted. We have no idea of how many vets were shocked once. 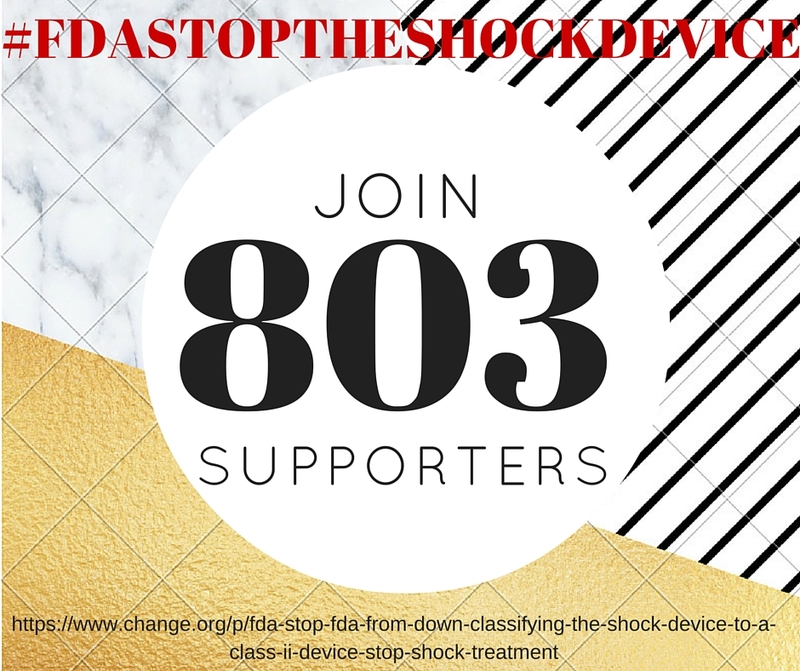 Even more problematic, guidance on the use of shock treatment was released, and this included using shock treatment as a first line treatment for women who were pregnant. That is electricity shot through her brain, general anesthesia, muscle relaxers, and pain killers, and not eating for long periods of time before the brain-damaging procedure, multiple times a week. Electroshocking Veterans and Their Fetuses. Right now, the FDA is trying to say that shock treatment is 'safe enough' for people experiencing a "depressive episode" as part of "major depressive disorder" or "bipolar disorder" that is "treatment-resistant" or "requires rapid response". Please join our efforts to stop the FDA from being able to do this.